Here's Jazz and Tess with a couple of their new Christmas toys that are shaped like gifts. Investigating the contents of a gift bag. Tess and Jazz team up to open another present. Here's the girls with an interactive dog game we bought them. They had a great time figuring out where the treats were in the different levels of the game. Tess and Jazz mastered the game pretty quickly, proving that teamwork really pays off! Jazz and Tess had quite an exciting Christmas morning. They had a grand time playing with all their Christmas toys and sniffing out the treats, and now they're ready for a nap. Merry Christmas, Everyone! This picture was taken a few weeks ago when we had a light snowfall. 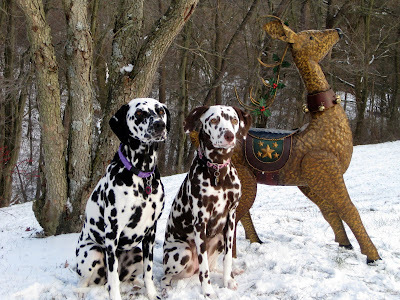 I thought it was more appropriate to post this on Christmas Eve, since the only pictures we'd get outside today would be of wet, muddy Dalmatians! Tess and Jazz are looking forward to Christmas, especially now that the gifts are under the tree! This will be Jazz's first Christmas with us. Last Christmas, she was just under a month old and living with her littermates and Mom with her breeder in Greensburg. I'm sure Tess will enjoy sharing this Christmas with Jazz. 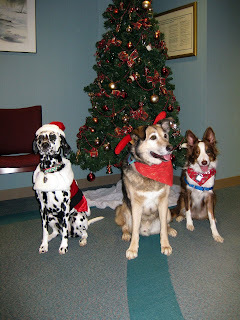 Just wanted to share a few pictures of Tess and her friends Rocky (Shepherd/Husky) and Sammie (Border Collie) at their holiday pet therapy visit at UPMC Passavant Hospital. 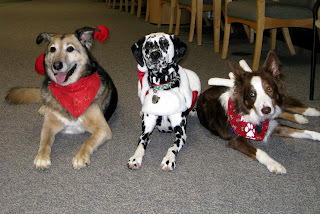 These great dogs, dressed as Santa and her two handsome reindeer, brought smiles to many patients! Like all good kids, Tess and Jazz went to the mall this evening to see Santa and tell him what they want for Christmas. I'm sure they'll get everything on their Christmas list, because they've been very good girls. 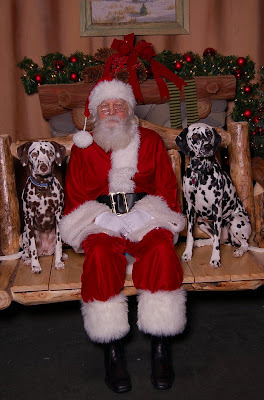 Santa himself said that they were the most well behaved dogs who came for photos! We are very proud of our little Jazz, who passed her Therapy Dog test last evening. This very challenging test evaluates a dog's ability to sit politely for petting; allow touching of ears, feet, etc. 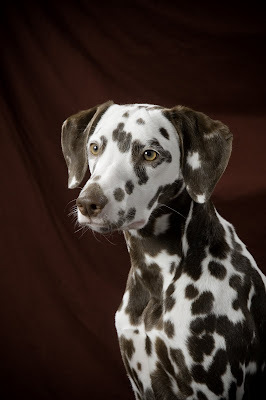 ; be groomed; walk on a loose lead, including in a crowd and among wheelchairs, walkers, and other medical equipment; sit and down on command; stay; come when called; meeting another dog; reaction to loud noises; working around children; and staying quietly with someone while the owner is out of sight. We're looking forward to Jazz joining Tess in making pet therapy visits.